When one of our favorite TV shows ends, we want to feel a sense of closure. We want to feel as though we are going to survive such a loss. Yet… this isn’t always realistic, especially when it comes to a popular show from our collective past: Zoey 101. Though it ended eight years ago, we still feel as though we didn’t truly get to say goodbye to the students at Pacific Coast Academy and as a result, we’ve always wondered: Reunion? 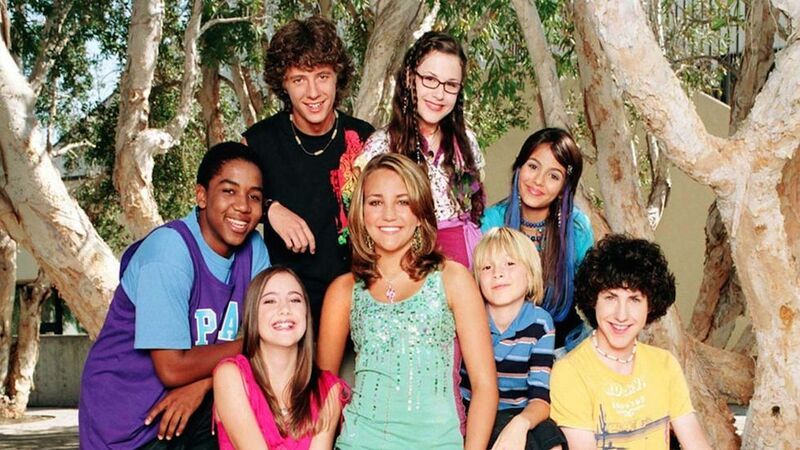 It turns out that we aren’t the only ones with the above question on our nostalgia-loving minds because, during an interview with People, Jamie Lynn Spears (aka Zoey Brooks) was asked about a possible Zoey 101 reunion. In response, she unfortunately revealed that she hasn’t been approached about one. Okay, so Jamie Lynn is basically saying that a reunion isn’t out of the question, right? Especially since fans are still shouting their love for Zoey 101 from the rooftops. To prove this point, Spears stated, “I do get comments all the time about Chase looking for me.” According to Jamie Lynn, these remarks greatly increased after her castmates Sean Flynn (Chase Matthews) and Christopher Massey (Michael Barret) reunited to film a video where Chase finally gets to hear what Zoey said about him on the DVD she buried in a time capsule. Speaking of kids, Jamie Lynn has given her 8-year-old daughter Maddie a chance to see her mom in action as Zoey Brooks. However, Jamie Lynn prefers not to watch herself on TV and added, “And I think it’s weird, like I don’t want somebody to walk in our house and see I have Zoey 101 on.” Yeah – that might be a bit awkward.